What is the ‘endgame’ for minimalism? To live a happy life, of course. To be free of distraction, to be able to do what you want without caring what other people think. Yes, all of these are important. For me though, minimalism is ultimately about giving. Yes, I can live a happy life. And I do. But it isn’t enough to only be happy by myself. If I want to leave the world a better place than before I entered it, I have to help other people improve their lives. Imagine if everyone you met left your company in a better condition than before. You would have good friends, and good relationships. People will remember you as the worthy person you are. Not only would you be happy, but they would be too, even if it was just for a while. You don’t have to be entirely selfless. You don’t have to give away all of your fortune, or your free time. There are a thousand ways to help people, and minimalism helps you find the right way. Your own way. For me, giving means doing what little I can for others right now, but also working hard on my business, so that one day I will have so much more to give. There are so many people in the world who have nothing. Instead of spending all your money/time/effort on buying more and more expensive things, you can help people have something. A minimalist lifestyle also helps Mother Nature. She gives, and most people take, take, take, without thinking about how much we are really hurting ourselves. The path isn’t easy, but the direction is clear. 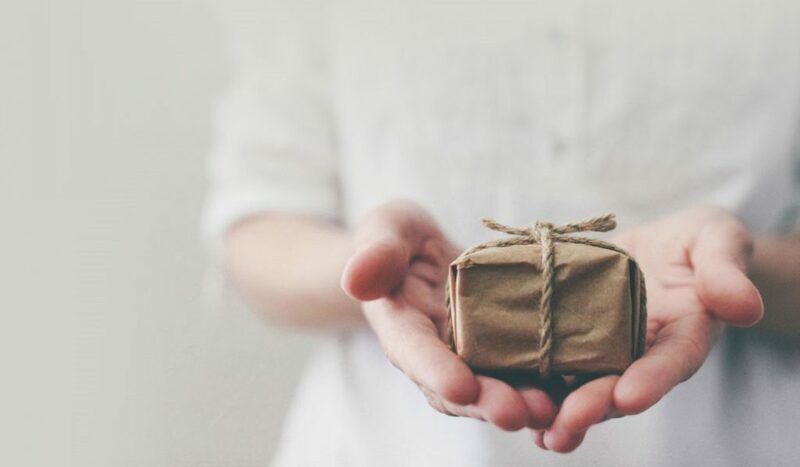 No matter how you do it, or how little, giving is what minimalism is all about. This entry was posted in Minimalism, Minimalist Meditations on May 29 2016 by Jessica.